In the name of getting more posts up more often, I’m introducing a new feature: Quick Bite. I’ll post an image or two from a (hopefully) recent meal with a note or two. This weekend, Tammi and I had dinner at the bar at Locanda Verde. 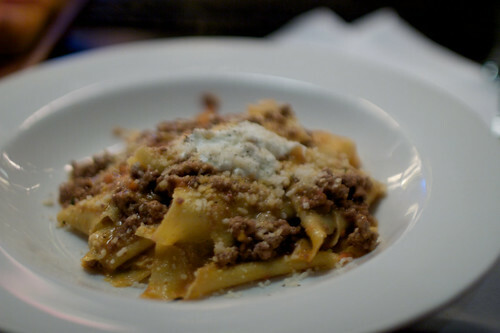 I had the awesome ribbons of parpardelle, above, topped with a lamb, veal ragu. 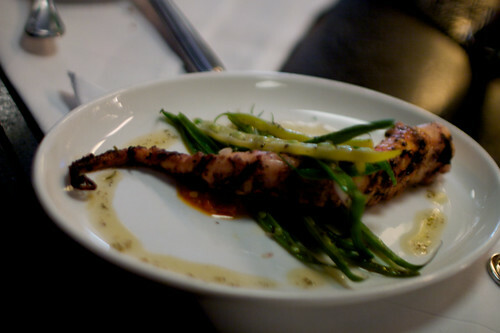 Below is the grilled octopus that I raved about when I posted on LV over the summer.